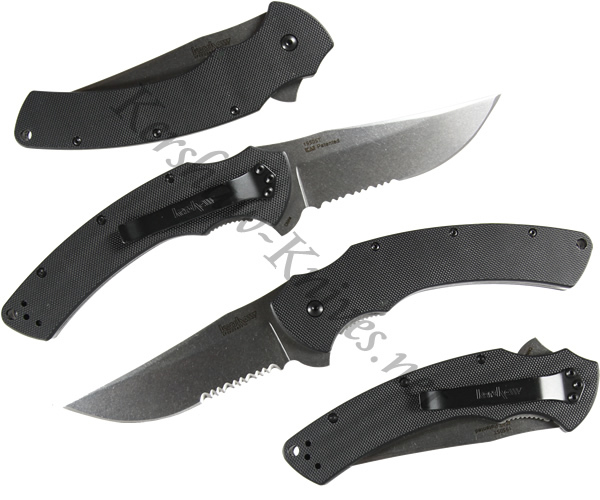 At nine inches when in the open position, the Kershaw Tremor Serrated 1950ST is an impressively large folding knife. The partially serrated blade is heat treated 8CR13MoV stainless steel for superior edge retention. Opening the blade can be initiated by the integrated flipper or thumbstud. Either way, SpeedSafe technology takes over for smooth assisted opening. The blade is locked into position with a liner lock that easily closes with a single hand. G10 scales overlay the stainless steel liners. A clip in included for comfortable carrying.